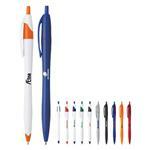 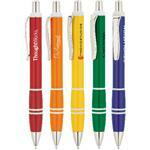 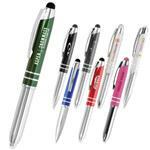 The Coleman Ballpoint Pen has a sleek matte silver body, a colorful soft grip, and chrome trims. 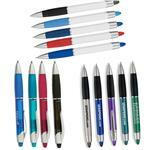 Easy plunge-action mechanism. 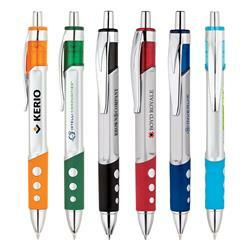 Has a metal clip and black ink.